Swan Mountain Outfitters – Glacier Division is a family-owned company that provides interpretive horseback riding for the general public. 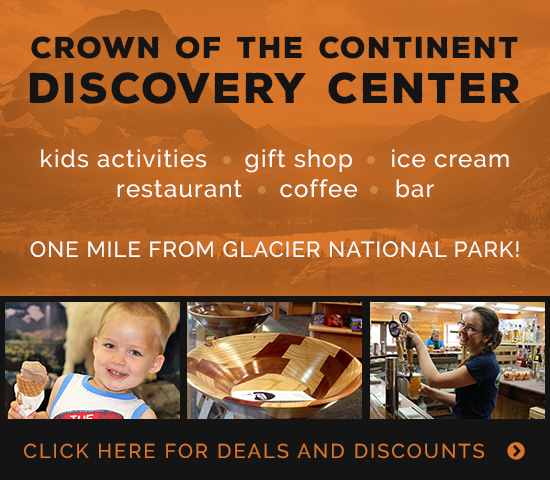 We have 3 locations inside Glacier National Park and one location right at the West Entrance on US Forest Service land. We hire seasonal employees to work from the end of May into September each summer. Please note we are a high volume trail ride operation, not a guest ranch. Whether for one summer or many seasons, employment with Swan Mountain Outfitters provides a unique, educational and gratifying work experience in one of the most beautiful and rugged places in the world. While the work is demanding and the hours are long, it offers the employees a one of a kind opportunity to spend much of their summer with horses and great people. Application Submittal. Read the following information regarding available positions, requirements and employment benefits. Then, complete and submit the online application below. Application Review. After reviewing all applications, we will select the top 30 applicants for a phone or in-person interview. All applicants that make it to the interview round will be required to submit 3 references. Additionally, any applicants interested in horse-related positions that make it to the interview round will be required to submit a short video demonstrating their ability to: groom, saddle and bridle, mount from the ground and ride (ideally at a walk, trot and lope). These videos should be 5 to 10 minutes long. Interviews. We will schedule interviews (either in-person or on the phone) during the month of February or March. Hiring Decisions. After conducting all interviews, reviewing the videos and checking all references, we will offer positions to the most qualified applicants by the end of March. If yes, please describe the circumstances of you conviction; including the date and place of the offense and disposition of the case. A felony conviction will not necessarily bar chance of employment since this will be looked upon as only one of the factors considered in the employment decision and is evaluated in the terms of nature, severity and date of offense. How did you hear that Swan Mountain Outfitters: Glacier Division was hiring? If you are interested in the Corral Manager, Packer or Trail Ride Wrangler positions, please answer the following questions. What seat are you most comfortable in (i.e. Western, English, etc.)? Are you comfortable at a walk, trot and lope? How long has it been since you last rode? Since you last rode regularly? Define how often “regularly” was? Have you owned your own horse? If so, for how long? Please describe your trail riding experience (i.e. leading trail rides, participating in trail rides, etc.). 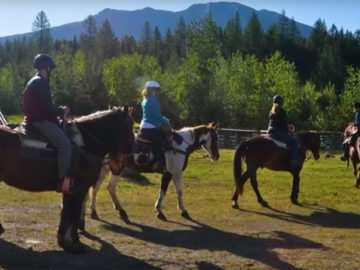 Provide any details you can about the terrain where these trail rides took place. Please describe your packing and/or stringing experience including maximum number of horses strung. Have you ever previously worked for a high volume trail ride operation? If so, please explain. Please describe prior management experience including the number of people supervised and a description of oversight responsibilities. Please describe your experience with equine first aid. Please describe the types of manual labor you have done including frequency of the work and the amount of weight you are comfortable lifting or moving. Please describe what you think the job you are applying for entails. If you are interested in the cook/housekeeping positions, please answer the following questions. How many people are you used to cooking for? Please list the types of meals you are used to preparing for others. Please describe any experience you have with housekeeping including the frequency of the work and the types of chores performed. Please describe your level of physical fitness, including the amount of weight you are capable of lifting or moving on a daily basis. If you are interested in the reservationist position, please answer the following questions. Please describe any experience you have working in an office setting. Please describe your phone etiquette. Do you have experience with point of sale (POS) transactions (i.e. handling money)? Describe a time when you had to deal with a difficult customer and how you handled that situation. All applicants should answer the following questions. If you speak a foreign language, please specify. If you have visited, please provide details. If not, please explain why you want to work in Glacier. Please provide a detailed description of your customer service experience. Please list any interests or hobbies in addition to horse-related activities. Do you work best with groups or alone? Explain why. Based on your understanding of the position you are applying for, please state what you think your strongest quality is as well as what your development areas are. If you are applying for more than one position, please specify strengths and weaknesses for each position. Please list any other schooling, training, or certifications relevant to the position. Please list three employers (most recent employer first) giving particular reference to any experience you have had related to horse operations, a resort atmosphere, or physically demanding work. Please read the following terms and conditions and indicate your agreement by checking the box next to each statement. You must agree to all statements before your application will submit. I understand that friends or relatives of Swan Mountain Outfitter employees are not allowed to live at the bunkhouse and am able to make necessary arrangements to abide with this policy. I understand that Swan Mountain Outfitters: Glacier Division does not allow pets to live at the facilities and will abide by this policy. The information provided in this application is true, correct and complete. If employed, I understand that any misstatements or omission of fact on this application may result in my dismissal. I authorize Swan Mountain Outfitters: Glacier Division to check references with any person, agency or company concerning my abilities, character, reputation and previous employment record. I release all such persons supplying information from any liability or damages on account of furnishing such information. I agree to abide by all present and subsequently issued personnel policies and rules.